MLS# ML81747175 - 1318 Larkspur Drive, Rocklin, CA 95765 - Pat & David Fogg | David Fogg Real Estate, Inc. Courtesy of Premier Value Realty, Gene Raffanti. Gorgeous 2 year new Woodside home. Desirable Rocklin neighborhood, great schools!…4 bedrooms 3 full baths. Kitchen has beautiful granite counters, large island, lots of cabinet space, tile floors. Formal dining area, downstairs bedroom and full bath. Upstairs has loft with separate family room. Master bedroom has huge walk in closet and beautifully designed bath with free standing tub, two separate vanities and two sinks. Large two car garage. Great commute location and close to shopping. 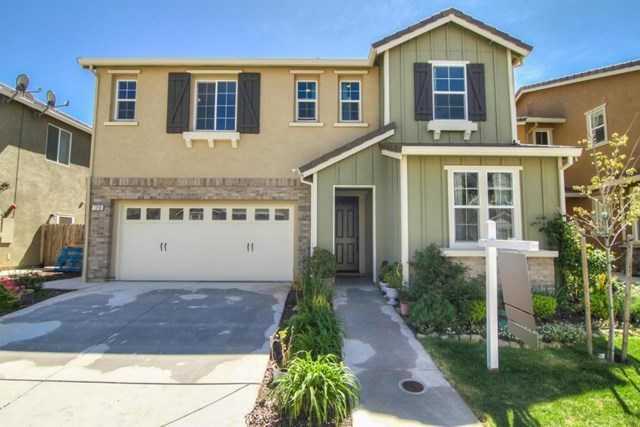 Please, send me more information on this property: MLS# ML81747175 – $544,995 – 1318 Larkspur Drive, Rocklin, CA 95765. I would like to schedule a showing appointment for this property: MLS# ML81747175 – $544,995 – 1318 Larkspur Drive, Rocklin, CA 95765.